It's been a busy year for brother David Tso! David is in his second year at UBC studying International Relations. Just last year he founded @yuthbrand, a Vancouver-based clothing brand that designs premium “athleisure” wear emphasizing unrivalled comfort. YUTH donates portions of profits to causes they believe in. In the last year, they have already donated $1,000 to UNHCR and Oceana. With the release of the "Core" collection, they are on track to donate $2,000 to the Canadian Mental Health association by summer 2019. Check out the collection @yuthbrandand support a great local apparel company! Lorenzo, a current 5th year Biology student, minoring in Biochemistry, is always on the move. Lorenzo is currently in the process of completing his directed studies in the Laboratory of Molecular Signalling, located in the Life Sciences Centre at UBC. 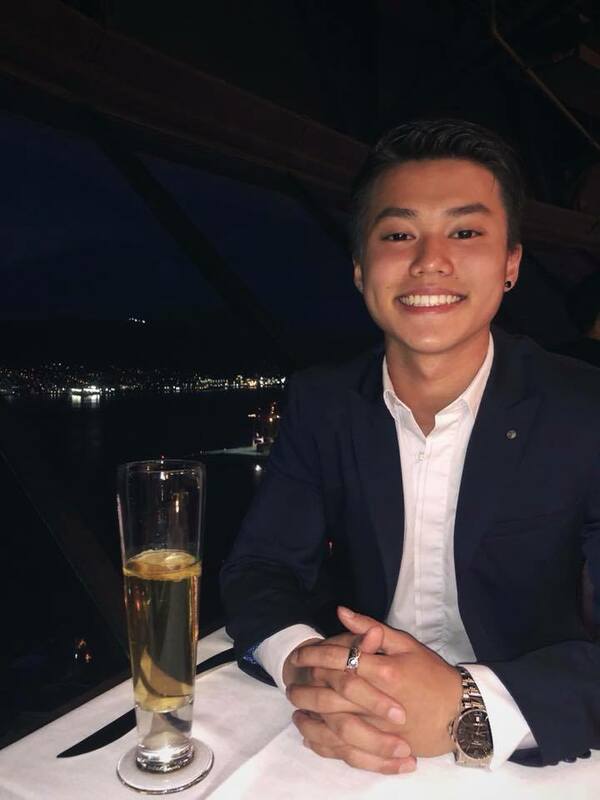 His thesis focuses on hyperinsulinemia- associated changes to the cardiac proteome and he has presented his research at notable student research conferences at UBC such as MURC 2019. Along with his research, Lorenzo is a dedicated member to his community, volunteering in the Emergency Department at BC Children’s Hospital and as a Radiation Support Volunteer at BC Cancer. His track record also consists of student leadership positions as the Director of Marketing in the Science Undergraduate Society and as a Senator in the Alma Mater Society. Lorenzo’s one busy guy. So how did we convince this accomplished guy to commit to our brotherhood? Easy. We didn’t have to. As a well connected leader in both local and student communities, Lorenzo’s an extremely well-rounded gentleman and we’re proud to call him our brother.